Sleep is an important issue for Evan Davis, who needs to get up at 3.15am. Now, the presenter of Radio 4’s Today programme has revealed his bedtime secrets, and they are just as unconventional as other aspects of his life. Davis, 49, tells Mandrake that he relies on his long-term companion, the French landscape architect Guillaume Baltz — and hypnotherapy. “The blackout blind comes down, he’ll shut the curtains, I go to bed and he puts on the tape,” says Davis, who also presents the BBC Two television programme Dragons' Den. Davis, speaking after his bedtime at a talk about his new book, Made in Britain, at Foyles, tells me that the recording works so well he is now unable to fall asleep without it. “It fills your brain with soft fluff that slowly eases out all the stimulating things that you’re thinking,” says the presenter, who is known for his “punk” outfits and jewellery in unusual places. “There are one or two — I won’t name them because it is probably against BBC policy to do so — but I very rarely get 15 minutes into it without it knocking me to sleep. I’ve never enjoyed sleep as much until I got the Today job. There is something about early sleep that’s much better than late sleep. Davis does not say whether he has shared his soporific tips with his Today colleagues, John Humphrys, James Naughtie and Sarah Montague. Hypnosis treatments could be used on a range of medical conditions to save the NHS millions of pounds, according to a group of medical experts. But it warned that patients need to be protected from rogue practitioners who cause harm and end up costing the NHS more. Jacky Owens, the president of the RSM's Hypnosis Section, said: "Conditions such as depression, pain and irritable bowel syndrome affect millions of people in the UK and at great cost to the NHS. But hypnosis can often work where other treatments have been unsuccessful." Ms Owens, a qualified nurse who uses hypnosis in her work with cancer patients, added: "If doctors were able to refer patients to properly trained hypnotherapists, it would save a cash-strapped NHS a great deal of money." 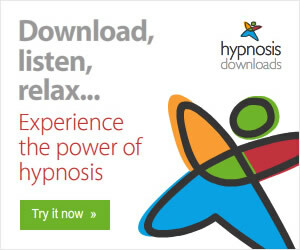 She said making hypnosis a standard part of the "NHS toolbox" would lead to the public becoming better informed about the procedure and mean that vulnerable patients would be less likely to turn to "hypno-cowboys". Ms Owens added: "We're confident that with more research, hypnosis will be recognised as an extremely useful tool to be used alongside mainstream medicine. 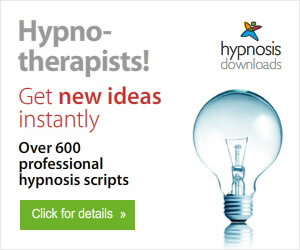 What we need are doctors, dentists, nurses, psychologists, physiotherapists, radiotherapists - the whole gamut of people who treat patients - trained in using hypnosis as another tool in their treatment programme." A Department of Health spokesman said: "We believe in patients being able to make informed choices about their treatment and in clinicians having the freedom to prescribe the treatment they feel most appropriate for that patient after discussing the risks and benefits. "They should always consider the availability of a suitably qualified practitioner as part of this process. "Our plans to modernise the NHS will give clinicians more freedom to commission the services that best meet their patients' needs." Antonia Harrison is the English Hypnotherapist in Belgium who has already helped hundreds of people with health problems.